Biker Boyz Weekend is a nationally recognized motorcycle enthusiast event and is considered to be one of the premiere “Next Generation” motor-sports events in the country. Biker Boyz Weekend welcomes you to be a part 15 Year Anniversary Celebration in Tulsa, OK where the event originally began. Super Street Bike Magazine, Speed Channel TV and several national magazines have featured Biker Boyz Weekend as a national headline story in their media. Past events have included an array of celebrity guest that includes model Tyson Beckford, actress Vivica A. Fox, celebrity stunt men Jason Britton, Aaron Colton, and Kyle Woods and the discovery channel master bike builder Jerry Covington. The 2018 Biker Boyz Weekend promises to feature more new exiting events and continuing to attract national headliners, great vendors and bike clubs from all across the nation. Tulsa is a city that surprises visitors with a feeling that is Southern, Eastern and Western all at once. Experience its cosmopolitan flavor at the same time you delight in its small-town friendliness. Tulsa, is one of “America’s Most Livable Communities,” is known as the Mecca for arts in Oklahoma. Art deco masterpieces are prevalent in many of our downtown buildings and churches. 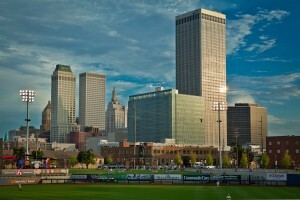 Tulsa is a regarded as a biker friendly city, so make sure to take a leisure ride down the beautiful river side drive. Tulsa is also know for the historic Black Wall Street district, in the heart of the Greenwood district. A look back at Biker Boyz Weekend 2016 in Dallas, TX.